My life has certainly taken a detour over the past few years. I never would have chosen the road I’ve ended up on, but for better or worse, here I am. There’s certainly been a lot of grace in everything that’s happened, but there sure has been a lot of anguish as well. I was reflecting on that as I was on the train home one evening as I approached the one-year anniversary of being told I needed to leave my community. It had been an usually rough week, and when the battery of my iPod died I started to pray the rosary. It was Friday, so I was praying the Sorrowful Mysteries, and I started to contemplate Christ’s words about taking up our crosses and following Him. A friend of mine had recently said something about how each of our crosses is just the right size for us to carry, because our cross was made specifically for us – that if we all got to put our crosses in a big pile then pick the one we wanted, we would choose our own, because it’s the one we’d best be able to carry. And the one that brings us closest to Christ if we allow it to. As I sat on the train I was reflecting on that – how, as much as I would never have chosen the path I’m on, somehow good seems to be coming out of it, even in the midst of the moments of trial. That doesn’t mean a happily-ever-after where everything somehow magically works out. Rather, I can see that I’m growing stronger and better able to carry my cross; I’m learning to see and appreciate the beauty of Christian friendship and community, and to appreciate the gift of the other, in spite of people’s faults and failings; I‘m realising that I have choice to love and trust others, even when I’m not feeling loving or trusting – that the risk of hurt or rejection, or even betrayal, is a lesser evil than a life of loneliness through shutting people out. And slowly, a little at a time, I’m learning to accept , work though and let go of some of the more painful experiences in my life. My prayers do seem to be having an effect – not necessarily through convincing God to change His plans or my circumstances, but rather through Him working to bring about change and growth in me. That first year and a half after leaving my community wasn’t easy. In fact it was the hardest experience of my life, and I’ve faced some difficult challenges in the past. It’s been just over two years now since I was in the middle of the toughest, most shattering, and most heartbreaking experience of my life to date. After desiring for so many years to give my life to the Lord I found myself back at was seemed like square one, struggling to make sense of things and get back on my feet again. 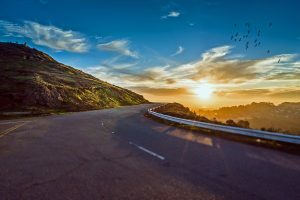 Forget detours – it sometimes felt like my life has undergone a head-on collision with a semi-trailer. And yet this is the road I’m on. 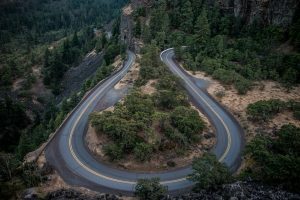 I’ve long since realised that this isn’t a detour – that there’s no going back to the way things were or changing some of the things that have happened. Like it or not, this is this is the road I’m on and these are my circumstances. No-one else can carry this cross for me, although they can help me bear the weight if I allow them to. “I cannot cling to the past. I cannot get back on the old road and put everything back the way it was. Some things will get better over time. Some prayers will be miraculously answered. Some dreams will come true. This is the road I’m on, and as lonely and difficult as it has seemed at times I have to keep moving forward. I have to trust that God is working through everything, and keep looking for the beauty in my circumstances. And there is beauty. Just as water is never so sweet and refreshing as it is for the parched wanderer who stumbles across a spring in the desert, so too are all the daily blessings, simple joys and small pleasures so much more worthwhile and of such greater value after having endured the trials in our lives. Every day and in every moment I can choose to accept my path and to keep walking it; to trust that the Lord is leading me, and to beg Him to carry me in those moments when I feel too weak or too overcome with grief or helplessness to push on. And every day, if I open my eyes and look around, there are those small reminders that I do not have to walk this road alone. The more time that passes the more I realise the truth in that, and the more I see how God’s grace is extended to us and is working to bring about fruit in our lives, even in the worst of circumstances. I see the ways He has brought about growth in my own life, and some of the ways He has used my experience of heartbreak to help me to have more compassion for others in their own sufferings. I can also see, at least to some extent, how He offers opportunities for healing in certain moments of struggle, or in circumstances that may bring up unpleasant or even outright painful memories. There is cause for rejoicing here. You may for a time have to suffer the distress of many trials; but this is so that your faith, which is more precious than the passing splendour or fire-tried gold, may by its genuineness lead to praise, glory and honour when Jesus Christ appears. Although you have never seen him, you love him, and without seeing you now believe in him and rejoice in inexpressible joy touched with glory because you are achieving faith’s goal, your salvation. 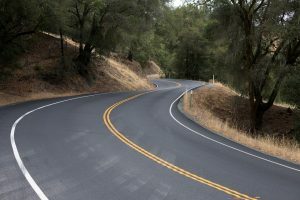 For each of us who have had the experience of entering and leaving a religious community, our roads have taken unexpected twists that we weren’t expecting, often didn’t feel prepared for, and certainly wouldn’t have chosen in and of themselves. We have each faced, and continue to face, our particular trials, but there is grace in that, and St. Peter reminds us that it is through our sufferings that our faith is strengthened and purified, and that even in the worst of circumstances we can trust that God is working to bring about the good of our eternal salvation and union with Him. I pray that each of us may find strength, comfort and healing in walking with the Lord this Holy Week, and that we may be renewed in hope for the resurrections that follows the cross.